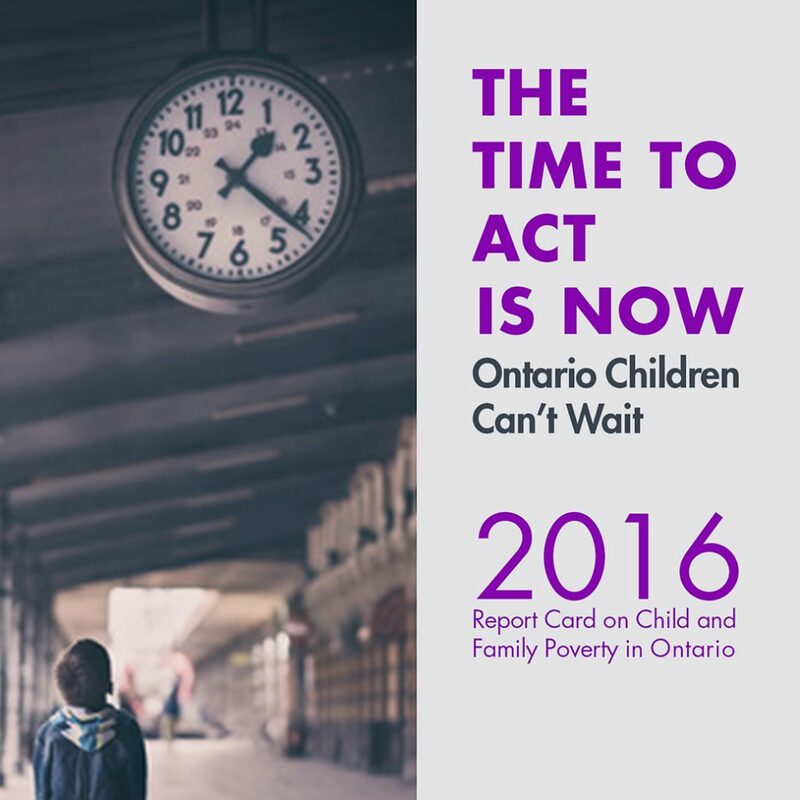 Ontario Campaign 2000 releases its 2016 annual Report Card on Child and Family Poverty on Thursday, November 24 at Queen’s Park, Toronto. 2016 marks the half-way point in Ontario’s second Poverty Reduction Strategy (PRS). While small steps have been taken to address child and family poverty in the province, greater action is needed to achieve the goals set out in the PRS. Ontario children continue to face high rates of poverty. 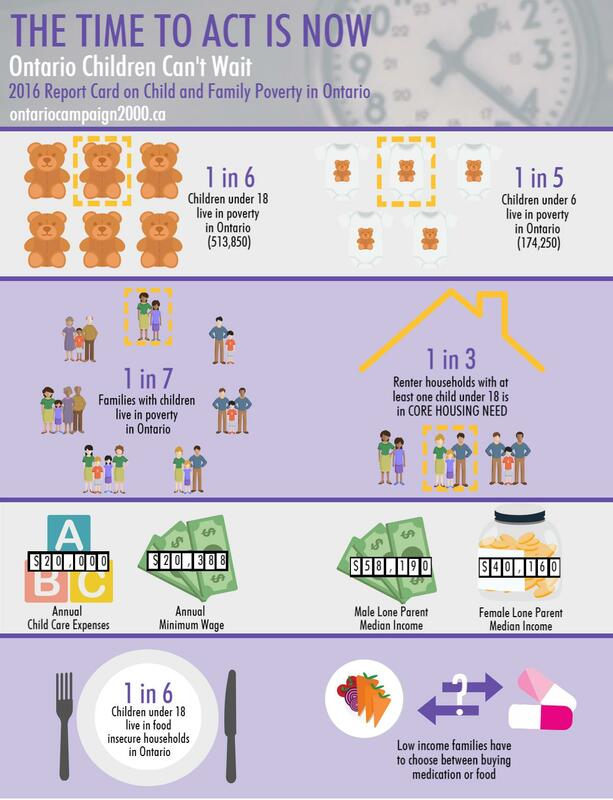 Our 2016 Report Card on Child and Family Poverty “The Time To Act Is Now: Ontario Children Can’t Wait” reports one in six (18.8%) children under 18 and one in five (20.4%) children under six in Ontario live in poverty in the province. Read our media release in full, in English or French. On the same day, Campaign 2000 releases its national report card along with report cards from several Campaign 2000 provincial partners in Vancouver, British Columbia; Regina, Saskatoon; Winnipeg, Manitoba; Halifax, Nova Scotia; Saint John, New Brunswick; and Charlottetown, Prince Edward Island.